First degree in Mathematics-Physics at the Technion. Ph.D. in Physics at the Technion. 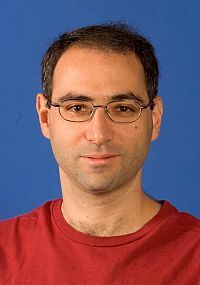 Amnon worked as a Post-doc at Fermi National Accelerator Laboratory (Fermilab) for Universitat Wuppertal and later for the University of Rochester, where he was a Robert Marshak Fellow. Amnon took an advanced computers course. He used the benefits that the Program gives to avoid courses that were of no interest to him (for example: Introductory Programming, when he was already a professional programmer). He started his studies for a second degree while still an undergraduate. Undertook research in High-Energy Physics. Recommendation to Program participants:"Study your own subject thoroughly, but in other areas do not hesitate to skip preliminary courses and head straight to what interests you". Today (2018): CTO of Lingacom Ltd., providing imaging solutions using cosmic-ray muons. Previously, Amnon worked in R&D on detection using muons in Lingacom Ltd.